The e-petition set up last month to bring down the UK price of Windows Vista now has some 9,200 signatures. Ending on 20 April, the petition will lobby the government to look into discrepancies between the pricing of Microsoft's new operating system in various countries. Disgruntled user Paul Milne set up the petition last month. "There is a huge difference in the price that people in the US and the UK are paying for Windows Vista the new Microsoft operating system," he states on the petition page. 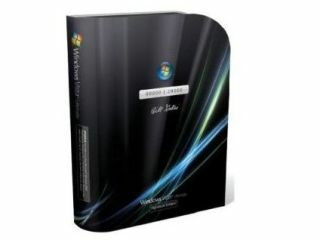 Milne claims that Windows Vista Ultimate , the premium version of Microsoft's operating system, costs £350 in the UK but can be bought for the equivalent of £195 in the US. "The US version of Vista is exactly the same as the UK version. There is no difference. Therefore I can see no reason for there to be such a huge difference in prices between the UK and the US other than Microsoft's belief that the UK customers will pay more than their US counterparts," Milne writes. Those who also want Tony Blair to investigate the issue have another month to add their name to the petition. In response to the petition, Microsoft said: "We respect the rights of UK consumers to voice their opinions, however we believe Windows Vista offers good value. "Pricing does vary by region and is dependent on a variety of specific factors including, but not limited to exchange rate, local taxes, duties, local market conditions and retailer pricing decisions," a spokesperson said.